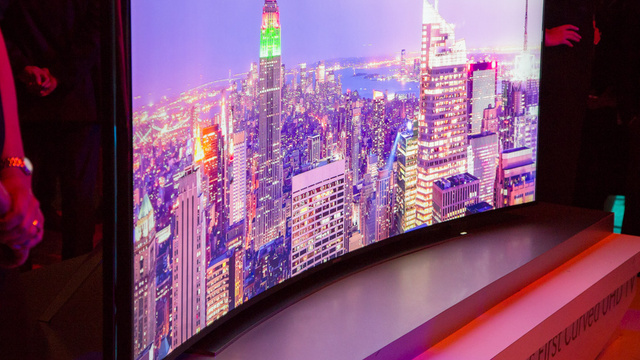 Samsung’s 105-inch, curved screen 4K TV comes in at $120,000 and preorders start this week. It should be noted that because the pricing puts it deep in the luxury end for electronics, each of the 4K TVs will built to order. The size and curvature of the TV is all that makes up the price. Customers will also get a LED LCD screen with a 5,120 x 2,160 resolution and a 21:9 wide aspect ratio. The whole thing comes with metal frame and a wood finish. To top it off, Samsung is offering a special house call service called “Samsung Elite Service.” Apparently Samsung has field engineers who can be summoned to explain the particulars of the TV because never mind the instruction manual or possible on screen help tutorial if you’ve paid $120,000 for a TV. One would figure that for the price customers could get the TV moved and cleaned—if needed—by the Samsung Elite Service, but no. Field engineers will just flip through the swanky 4K TV with customers and explain the features in detail. This would probably be somewhat useful given that it’s a smart TV with apps (given that it’s $120,000 it should be a smart TV and have apps no one else will be getting). Below is BooredatWork’s CES 2014 coverage of the TV.